Cara's style is so awesome! 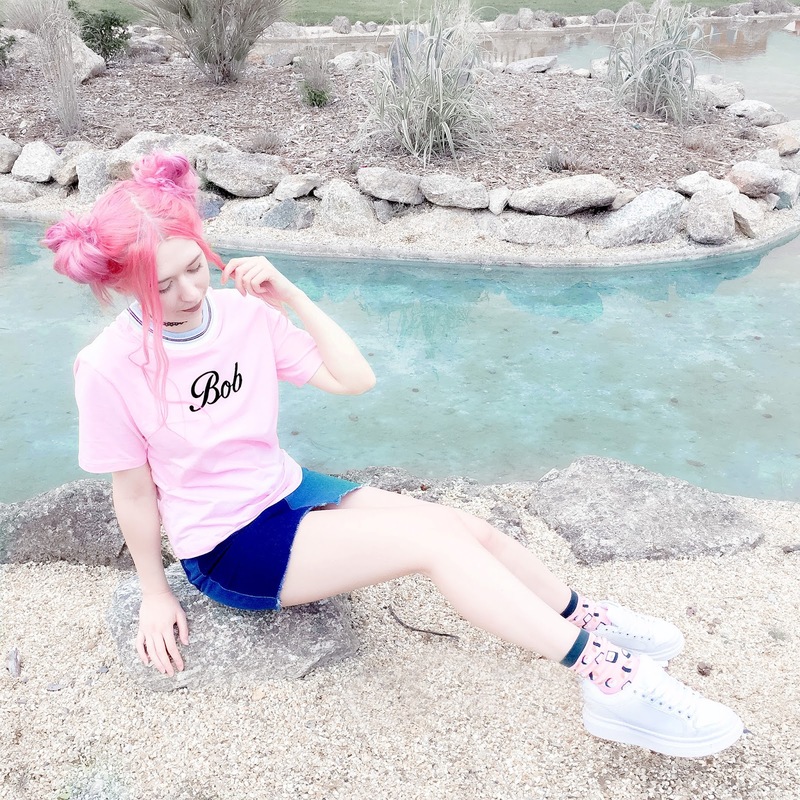 She always seems to find really unique quirky pieces, and it's because of her I'm starting to seriously obsess over brands like Lazy Oaf and Skinny Dip London! Cara has also talked about really important topics like mental health too, which is so important but really takes guts to do, so I respect this so much. Plus, she's an absolute sweetheart. Fringe. Goals. A self proclaimed lover of "90s fashion, rock music and all things Kawaii", Peaches' style is amazing! Also, she's a photographer, which means that all of her blog photography is on point- like her recent California posts, but also just her outfit photos in general. 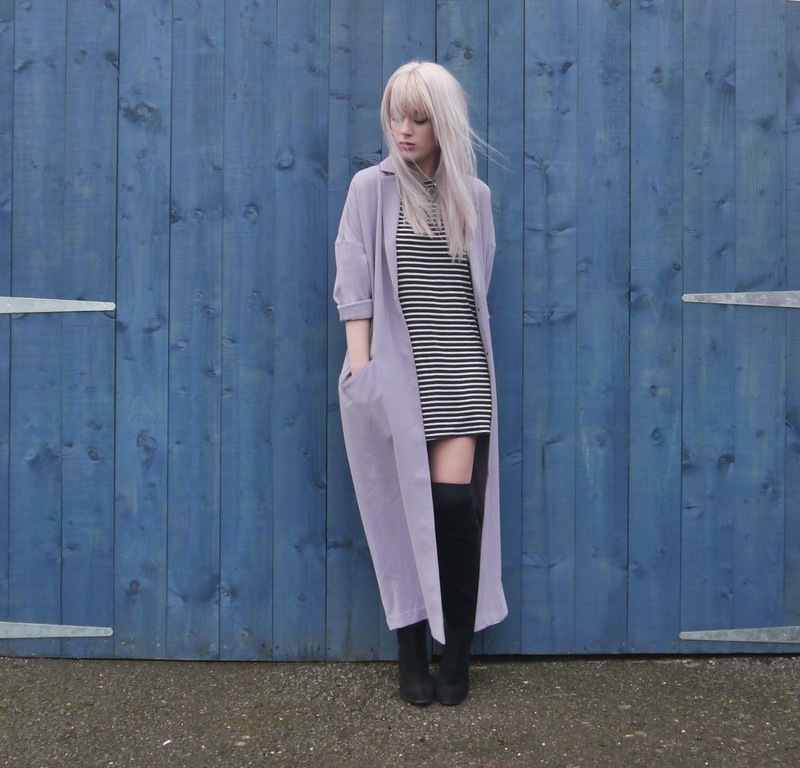 Amy's style is more grunge/ rock inspired and just exudes a 'too cool for you' vibe. She's gorgeous, always has the best rings and jewellery, and her music taste is great. 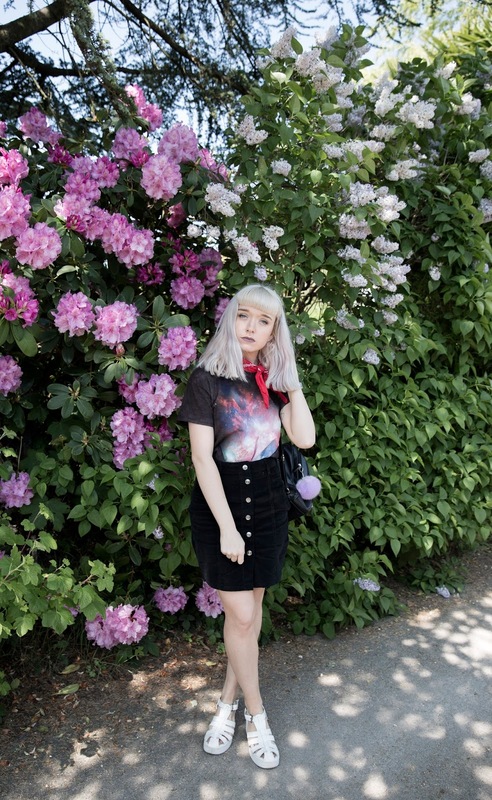 She also has a youtube, full of hauls and vlogs to make you intensely jelly, and v inspired fashion-wise. Ellen's style is so amazing, I love how she styles up tonnes of pastel pieces, and black, with that gorgeous silver/lilac hair. She hasn't been so active recently, because she's got a job with WAH nails, and she's still studying too, but her style is amazing so I'd definitely recommend checking out her archives or her instagram. How do you guys like to keep up with your favourite bloggers? Bloglovin? Instagram? Or just go straight to their blog? I hope you enjoyed me gushing about these guys, and maybe you even found a new favourite? :) I wanna make this a regular thing, because I follow so many super cool people.